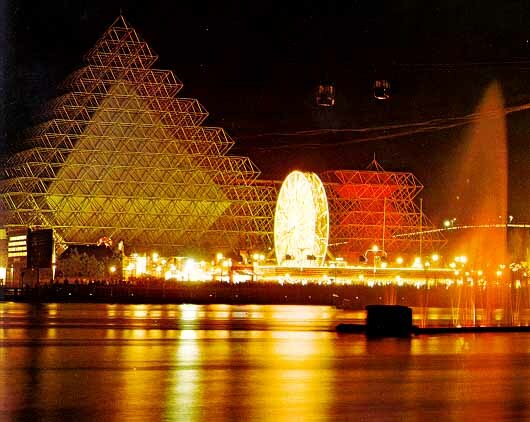 The Gyrotron pyramid dominated the skyline at La Ronde. 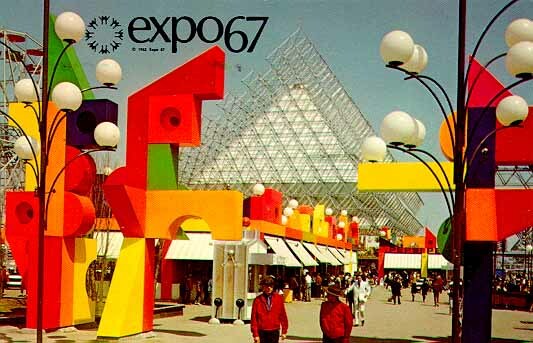 Gyrotron was a one of a kind ride. Starting at the ground level the Gyrotron passenger was whisked high into a giant pyramid where conditions of outer space were simulated. By sight and sound, the illusion of an actual space voyage was created. Finally the vehicle plunged deep into the bowels of the earth and the passenger was confronted by a fantastic mechanical monster that rose from a fury of molten lava. 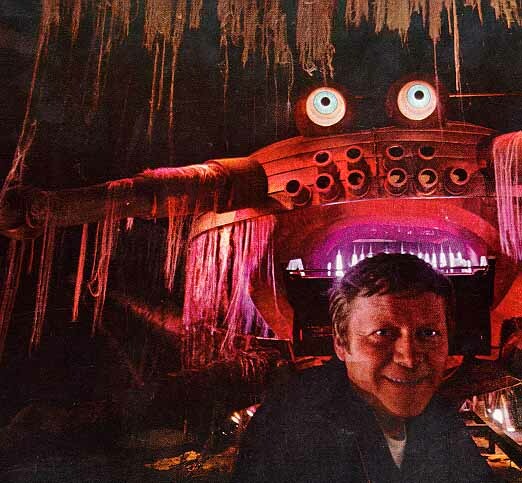 The ride's designer poses in the ride's interior. 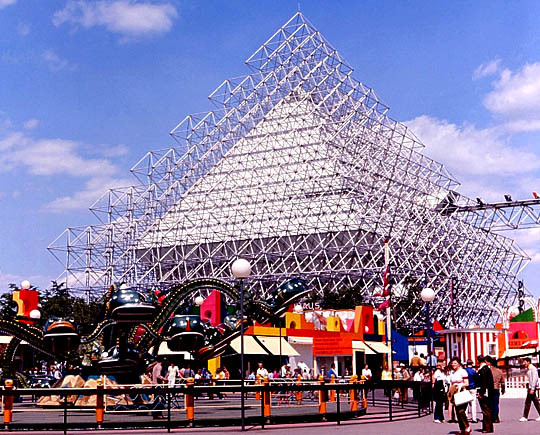 View of the Gyrotron's pyramid.